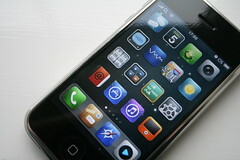 Like any other electronic gadget, your iPhone is at risk of getting viruses, malwares and Trojans from other devices. While Apple executives assert that no virus can infiltrate the system of the iPhone, the Ikee worm has managed to infect it through the Secure Shell (SSH) network protocol. While this usually occurs in phones that underwent jail breaking, its best to keep your device even those not jail broken – protected at all times. Here are ways on how you can shield your iPhone from nastiest viruses out there. However, there are also ways you can lose your iPhone’s data in the physical world! Keeping your phone’s data safe is very important as people store more information about themselves, their family and their home. Data loss will let hackers threaten you by having your credit card details, but also your location and therefore your home. Make sure you install outdoor home security cameras to keep your home protected! Jail breaking is the act that removes the restrictions imposed by Apple on your iPhone, allowing you to get more themes and applications that are not authorized by the manufacturer. You can even download those that you cant access through the App Store. While this act makes your iPhone free for some time, it puts your device at risk to viral threats such as the Ikee worm. It also nullifies your phones warranty. So if you jailbreak your phone, you cant have it repaired for freein case something goes wrongas the warranty in these phones are already considered void. As mentioned, the Ikee worm can infect iPhones via the network protocol SSH. In order to prevent this in jail broken iPhones, you need to change your SSH password by running Cydia and choosing the Mobile Terminal program. Install the app and change the old SSH password (Alpine) into a new one. Refer this tutorial. Apart from jail breaking, surfing the net is a common activity that you perform on your iPhone that makes it prone to contracting virus. Prevent this from happening by scanning your iPhone regularly with the Virus Barrier program. Its available at the App Store for only $ 1.99. Windows, Mac, Unix and Zip files can be scanned by this inexpensive program. It also scans e-mails and downloads you access through your iPhone. Like your laptop, having an anti-virus program installed is necessary. However, the fact of the matter is there are not a lot of anti-virus programs for the iPhone and other Apple iOS devices. Fortunately, there is one available in the market, and its name is Trend Micro Mobile Security. Apart from mobile device management, its great with mobile device security. Other features include application management and data protection. A lot of people use their iPhones to surf the net, and if you are one of them, you are making your gadget susceptible to getting viruses and other threats. One way to shield your iPhone from these threats is by surfing the net securely with the use of protective programs such as Trend Smart Surfing. It keeps your iPhone shielded from viruses, and it keeps you out of false web pages as well. While Apple says that the iPhones iOS is one of the best, the Ikee worm infection says that the device is still vulnerable to viral threats. Your iPhone is expensive! Dont waste the hundreds of dollars that you spent on it, make sure you follow these tips. Guest Post by Mason Brown, who is a marketing lead at Arcapps.com, which provides quality iPhone App Development using advanced technologies. It his my passion to write on technology subjects, because this is the age of technology revolution.